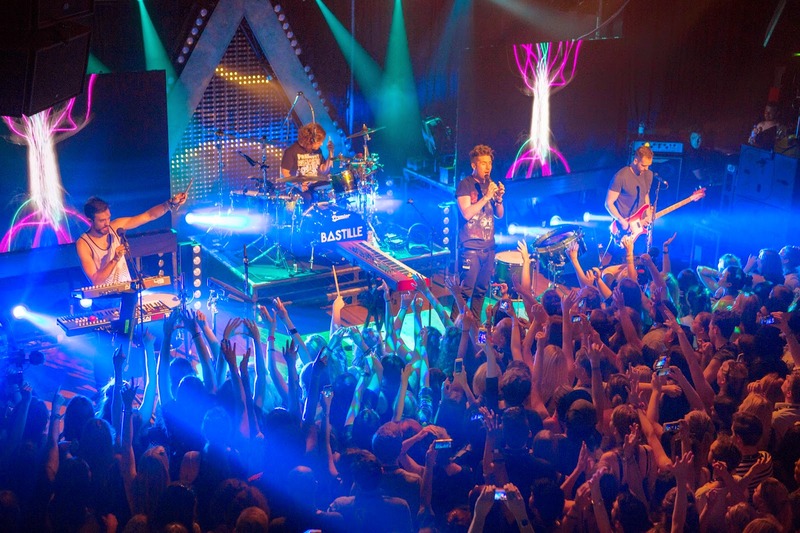 23rd July 2014: HP took over Scala in London for a night of music and technology, Wednesday saw Bastille team up with HP for the next HP Connected Music gig. It was one in a series of exclusive events HP are organising to raise awareness of their new Summer products. We got a little sneak preview in to some of the new products that HP have coming out next month. Some really interesting products on show, one of which was the HP Pavilion x360, quite possibly the perfect laptop to have, not only is it a laptop but you can also use its 360° hinge to turn it in to a tablet, perhaps the perfect new travel companion. What made the gig even more interesting was that the performance included an interactive dance floor, the lighting was directly influenced by the amount that the crowd was moving using pressure sensor technology and cutting edge VFX. Basically the more the audience danced the better the visual experience. Bastille performed in front of a packed Scala, with an audience filled with what appeared to be Bastille’s number one fans. The atmosphere was amazing and everyone was clearly there just to enjoy the night. HP definitely know how to put a gig together. Bastille; winners of the BRIT Award for Best Breakthrough Act, performed songs from their album Bad Blood (and the re-release - All This Bad Blood), including ‘Things We Lost in the Fire’, ‘Pompeii’ and ‘Overjoyed’. The lead singer Dan Smith even manage to venture out in to the audience and walk round, it was great to watch and it is a great way of indicating just how great the audience were, he made it round with no drama. The dance floor became interactive when Bastille performed the song ‘Of the Night’, with it being the first time technology like this has been used it was a great way for the band to connect with their fans and make them feel a part of the performance. Hopefully you will start to see more technology used like this at other gigs. A great night filled with great music and even cooler technology, can’t wait to see what HP do next.